Hundreds of Zimbabweans are queuing for fuel again as the shortage worsens in the country. 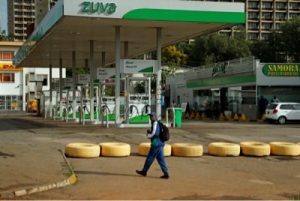 HARARE – Hundreds of Zimbabweans are queuing for fuel again as the shortage worsens in the country. Motorists have been left stranded after a sudden shortage of fuel, with public transport operators hiking fares. Zimbabwe’s perennial fuel problems have worsened since last year. President Emmerson Mnangagwa announced the shock price hikes for petrol and diesel earlier this year, which sparked protests. Several people were reportedly been killed and hundreds of others were also arrested during the protests.